DJing the main stage for the Locking/Waacking battles for ATWL 2016, alongside DJ Quantum who will be rockin’ for the bboy/popping category. For the past 10 years All The Way Live Foundationa has played a pivotal role in the education, empowerment and growth of the Urban Dance scenes in the Bay Area, Nicaragua, El Salvador, Taiwan, Philippines, Vietnam, Thailand, and just recently in Nepal. Our youth today are living through some difficult times, we hope to encourage and empower our youth through education and movement. We are proud of our work, and the commitment our staff have for our youth and communities. Our work could not be possible without your support, so thank you for all your efforts, dedication, and contributions into making us one of the most important organizations in the Urban Dance World. As the Bay Area’s premier Urban Dance Festival we thrive to create a unique and valuable experience for our youth and our urban dance community. This October 8th we want to invite you, your family and your friends to partake in a movement that has impacted communities all over the world! Like all of our events It is important to recognize that 100% of our earnings this year will go towards funding our next trip, and our various after-school programs here in the Bay Area. 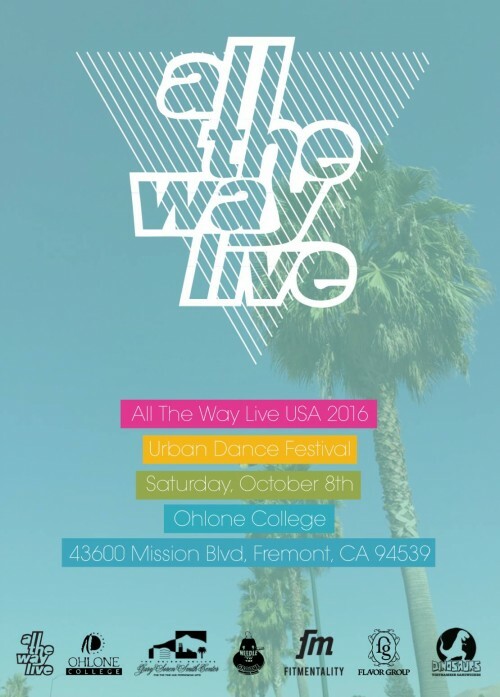 Thanks again, and we hope to see you Saturday October 8th, 2016 for this years All The Way Live USA!!! !